It is much easier to use than the abrasive sandpaper and allows you to remove rust from any part without damaging the other parts. If you sharpen its edge with a cutter, it is possible to get rid of rust from gaps or corners easily. You can choose to use a hard surface or a soft surface. * When rubbing the rust, use the hard or soft side as needed. 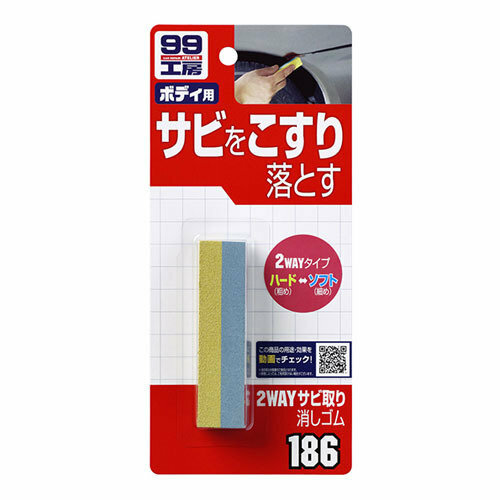 * Cut the eraser as needed to rub narrow spaces or corners.